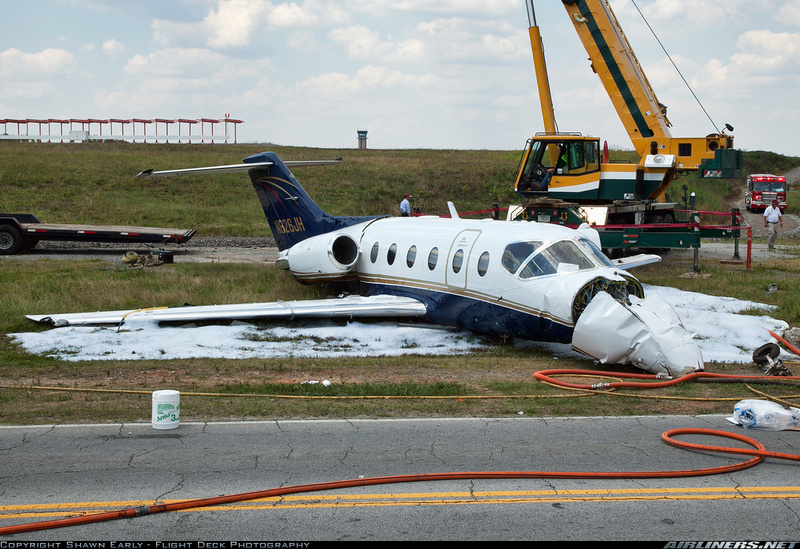 After landing on runway 20L at Atlanta-DeKalb Peachtree Airport, aircraft did not stop as expected. It overrun the runway, went through a fence and came to rest near a road, broken in two. 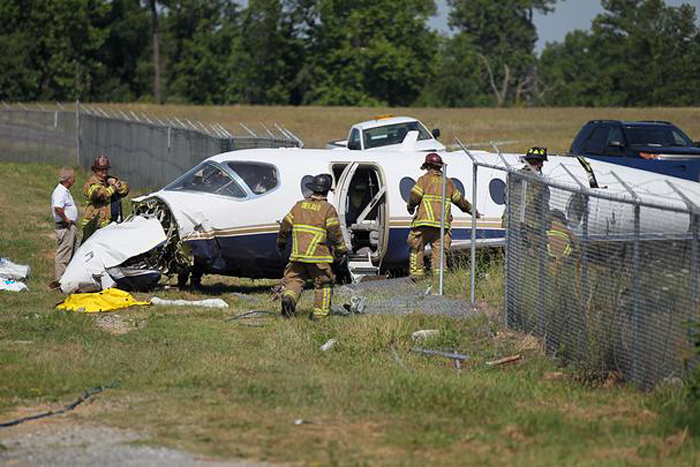 All four occupants were injured, both pilots seriously. Aircraft was damaged beyond repair. 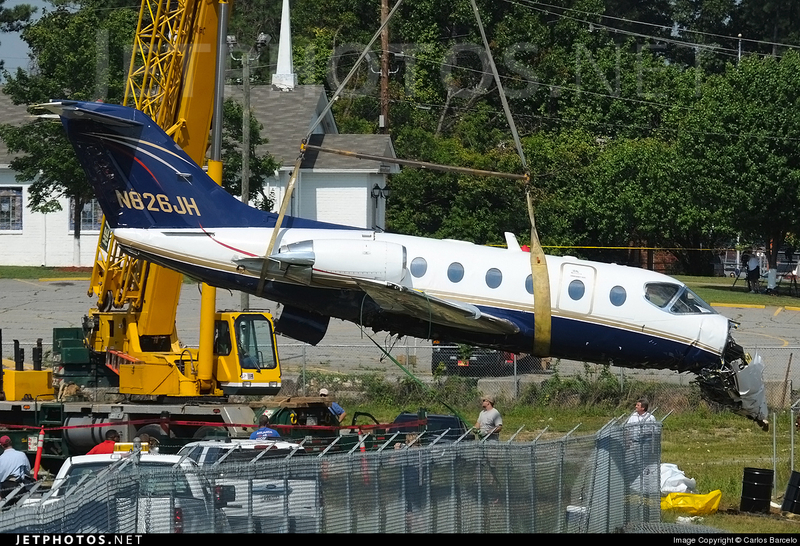 According to eyewitnesses, it appears that the BeechJet was approaching at high speed with a steep angle. Also, the pilot-in-command (PIC) reported to the Federal Aviation Administration (FAA) inspector-in-charge that he used up 25 to 35 percent of the runway before touchdown. 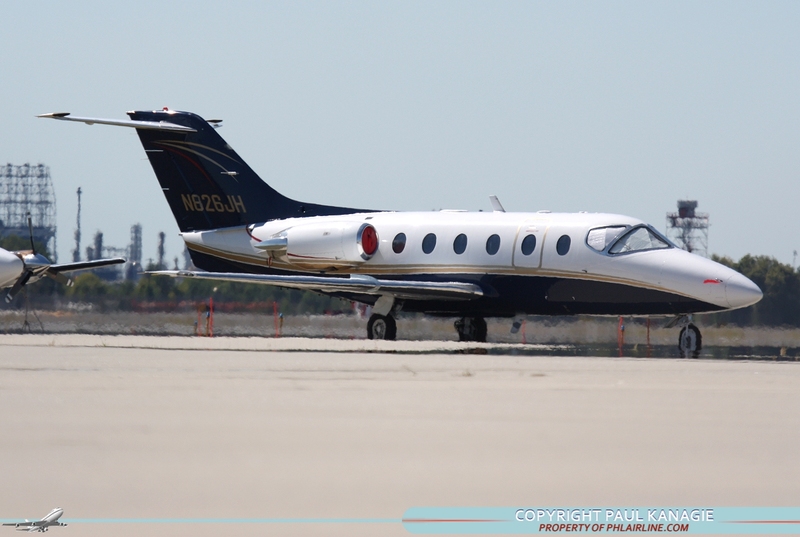 According to the PDK airport director, runway 20L is a concrete grooved runway which has a published landing distance available (LDA) length of 4,801 feet.